Our class ethos of confident, secure learning is underpinned by values of positivity and caring for others with compassion and respect. During this important time we not only educate children in the core lessons but we also teach them how to be an individual person with confidence and allow them to flourish knowing they have a solid background behind them to support them. In our Key Stage one, pupils are encouraged to blossom and grow as children. They start their formal learning journey here and begin to study a stimulating, enriched and inspiring curriculum. Whilst for our year one students a child initiated approach to learning is encouraged, year two students are encouraged to take a more rigorous directive approach. Year one children are guided and fully supported through the transition period from Foundation Stage into year one through support partners and a full week dedicated to Investors in Pupils, which shows children what is expected of them in the classroom whilst also showing them where everything is and which jobs they are to enrol in as part of their learning journey. Year two pupils take a step further in their learning journey during this time as at the end of the year they take government based tests. These are used as a form of assessment internally and externally to measure how well children are achieving and identify areas of support needed. We have a curriculum that is equally exciting and challenging. We study Read, Write Inc in the mornings and Literacy and Language, and directly after this we have mathematics. During these core lessons we use ‘Fred Frog’ as a character in Read, Write, Inc to stimulate childrens phonetic knowledge and encourage reading every day in class and at home. Children have reading logs which go home daily for parents to hear children read. In mathematics, learning is very practical and involves lots of equipment such as Numicon and the Abacus scheme of work. After lunch we have ‘Topic afternoons’ three times per week and on the alternate days we study French with Camembear, and PE. Topic is very engaging and includes a carousel of activities for children to ‘choose’ their learning. 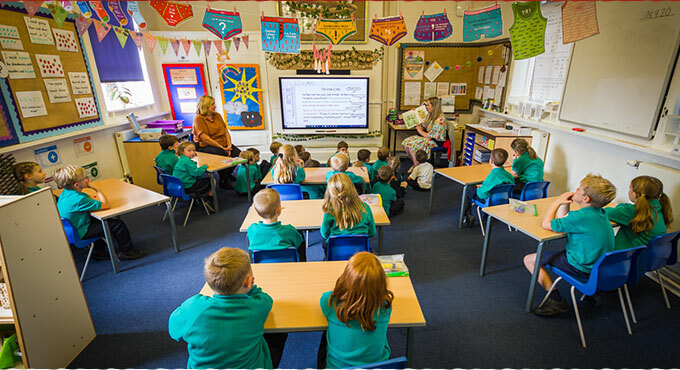 In summary, during Key Stage one, children are introduced to new, exciting concepts whilst learning important skills and knowledge, that will set them in good stead for their future school life.